You can enhance the likelihood of a successful mediation by paying attention to three elements found in every negotiation. First, walk around the case to be settled: do a 360° analysis. Most people make the mistake of just looking at their case from their own perspective. The skilled negotiator looks at it from all sides. It is better to identify the weaknesses of your case before the negotiations start, because invariably the other side will very quickly point out the shortcomings of your assessment. One technique that helps negotiators assess their case from all perspectives is to move to another desk or office and take a long hard look at the case as if you were representing the other side. Physically moving often enables a negotiator to see the case more clearly, and this “shoe-switching” technique makes it a lot easier to scrutinize the case from a very different perspective. Second, as the topics to be negotiated are identified, it is helpful to consider the background, history and chronology of events that brings everyone to the table. Do not hesitate to identify both the disputed and undisputed facts. Before entering any negotiation, identify all areas of agreement, no matter how trivial they seem. Perhaps it is as simple as agreeing that everyone entered into the contract with high hopes for the business venture. By identifying and acknowledging areas of agreement, it becomes easier to resolve the substantive topics. Third, it is not only important to identify all the issues to be resolved, but also to lay those issues out very succinctly at the beginning of the negotiation session. Hiding an issue or holding something back until everything else has been resolved is a major reason that direct negotiations fail. Clearly identify all the issues that are to be resolved – essentially outline them in a straightforward, bullet point fashion. Fourth, never, link a demand or offer when initially identifying the issues. Just identify the issues to be resolved and do not rank or otherwise indicate which ones are more significant. Weave in the important with the lesser important issues. Until all sides involved in the case identify all of the issues, it is premature to put forth an initial number. Fifth, and this technique separates the great negotiators from the novices: for every issue to be negotiated and resolved, attempt to generate three potential options before you ever start negotiating. There is an old saying that “The negotiator who walks into the room with the most options wins!” Trying to think of options, while at the negotiation table and attempting to think clearly under pressure, is a recipe for major mistakes. First, allow a sufficient amount of time to complete the negotiations. If the topic is important, involves multi-parties, or is multi-faceted, then 10 or 15 minutes is not enough time to discuss each item in a meaningful manner. No matter how much time is budgeted for the initial negotiation session, if a resolution cannot be reached, then schedule a second meeting. Decisions made under time pressure are usually the ones we most regret making. If people cannot communicate effectively, they cannot exchange information, and without the ability to exchange information there is nothing to negotiate. Two key factors regarding good communication are: listen carefully and speak their language. First, most people do not listen to anyone who is expressing a different point of view. Everyone is just waiting for his/her turn to talk or is mentally creating a rebuttal. Listen – really listen, and then summarize what you understood the speaker to say. If the speaker does not feel that you got it right, then ask them to repeat their key points, and then try summarizing again. This technique provides two distinct psychological benefits for any negotiation: subconsciously, the speaker understands that you are interested in resolving the matter, which in turn makes it more likely that he/she will listen when you speak, and they may be more likely to trust you and the information that you provide. To speak their language, you must understand their communication style. There are four styles commonly found in negotiation: intuitor, sensor, feeler and thinker. These four communication styles can produce communication roadblocks exactly the same way as if people were speaking four different foreign languages. Imagine a room with four people attempting to negotiate if each one spoke a different language, for example: Chinese, another, Russian, the third Spanish and the fourth German! If someone says, “I have an idea.” This indicates that they are creative, think out of the box, and have a future time orientation. An example of this “intuitor” speaker might include something like, “I have an idea, next week we can...” Framing your responses, using their vocabulary will enable the intuitor speaker to hear your message. Other speakers may use down-to-Earth, pragmatic terms, like “We are here today, so let’s focus on getting this done now.” These individuals are often referred to as “sensor” speakers. They typically like to negotiate and make decisions without a lot of deliberation. They can be prone to making quick decisions and more likely to make mistakes, or to pressure others into making hasty decisions. There are other individuals who tend to link an event to the impact it had on people. They may speak about emotions and these “feeler” speakers use terms that require a responder to use empathetic terms. For example a feeler speaker may say, “You do not seem to appreciate the impact of ...” Their time orientation is the past, which can make it more challenging to find a resolution. It is important to remember that if individuals with this communication style are unable to move from the past, to at least the present, they will have a very difficult time finding solutions during negotiations. Negotiated settlements are based on resolving an issue now or in the future. What happened in the past is history and cannot be renegotiated. Finally, there are the “thinker” speakers: speakers who rely on data, facts and figures. 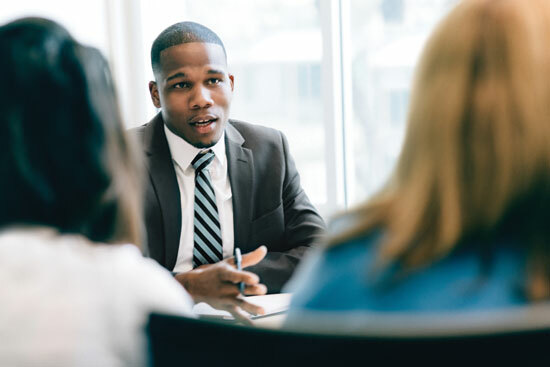 Providing specific details to these individuals during the negotiations is a powerful persuasion technique. These negotiators do not seem to have a dominant time orientation, and appear to hear equally past, present and future references. To enter a negotiation with a thinker speaker, bring lots of supporting data – they rarely accept opinions. It is extremely helpful to talk with all the individuals who will participate in the negotiation long before the session starts, and try to listen for key words – identify their communication style. Thinking about the different communication styles before entering the negotiation room provides another strategic tool for finding a satisfying settlement. Taking the time to prepare, using the various components of the 360° analysis technique; allocating a sufficient amount of time for the negotiations; and incorporating enhanced communication skills, especially listening and identifying communication styles, will go a long way to improve the outcome of your next negotiation. Nancy Neal Yeend is a dispute management strategist and mediator. As a strategist she designs programs to reduce workplace conflict. She founded of The End Strategy (TES) in Portland, Oregon and mediates pre-suit, trial and appellate cases. 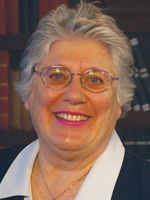 Nancy has served as National Judicial College faculty for nearly 25 years.